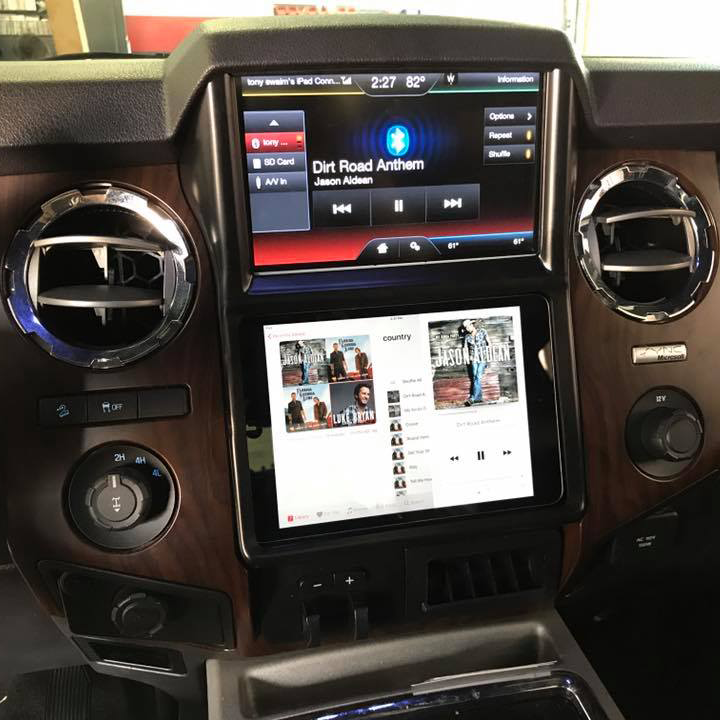 This customer wanted to use their iPad to serve up all their music to their car stereo. 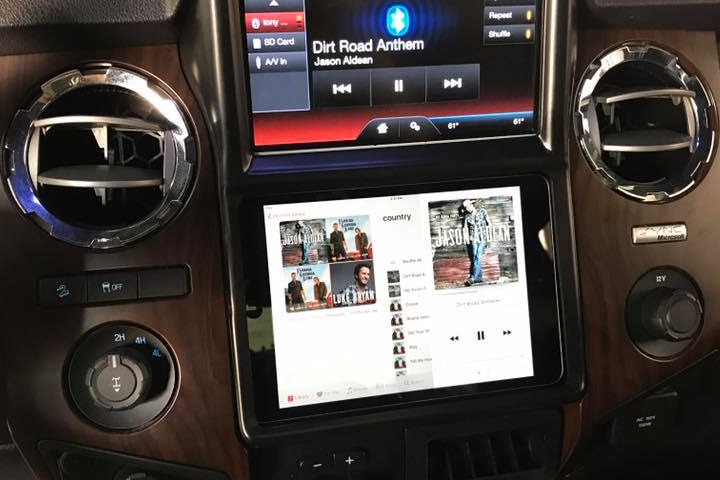 The iPad is an excellent solution to hold all your music and make it easy to get to, but cars and trucks unfortunately don't come with a good place to put them. That's why you contact the best car stereo shop in Melbourne! 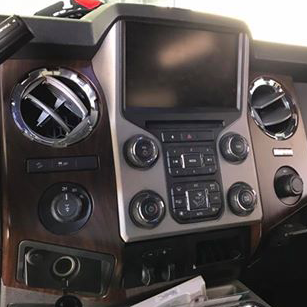 We custom fabricated a new center console panel to house the iPad while keeping everything look like it came stock from Ford like that. The custom installation allows the iPad to be charged and removed when needed by simply sliding the iPad to the side and popping it out. Having an iPad perfectly installed in your dash also allows you to use all the apps that you have on your iPad and have the sound come through your car stereo. This is especially helpful for navigation. If your car didn't come with navigation from the factory, now you have easy access to it with turn by turn directions. 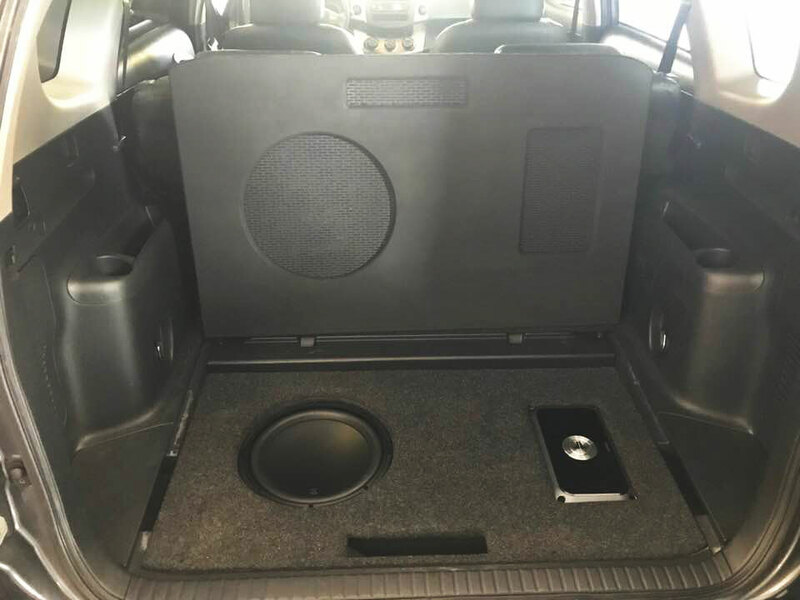 For any car stereo needs call the best car stereo shop in Melbourne at 321-722-0228, or shoot us an email by clicking here. 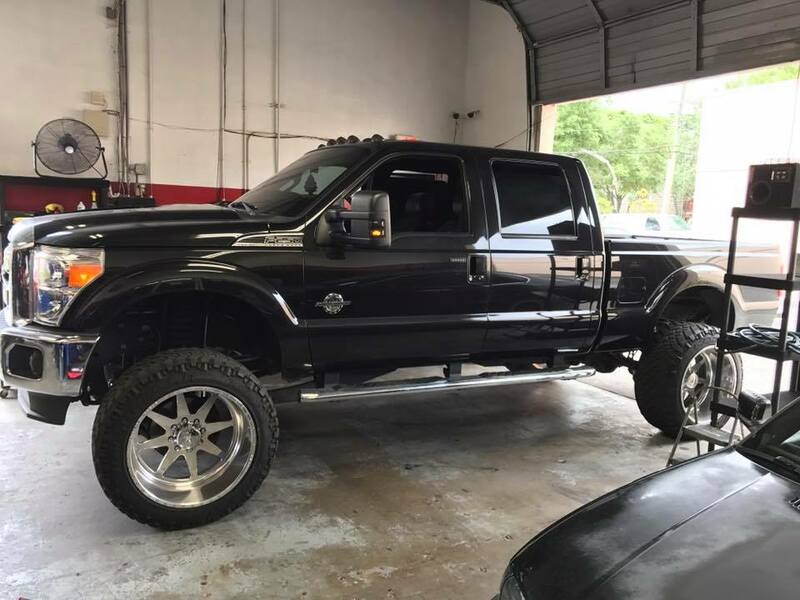 We can hook up your car or truck with anything you can think of, custom stereo, subwoofers, lighting, car alarm, lift kits, lowering kits, etc. Give us a call and get your project started.